Conference Location | Edinburg Out of This World! 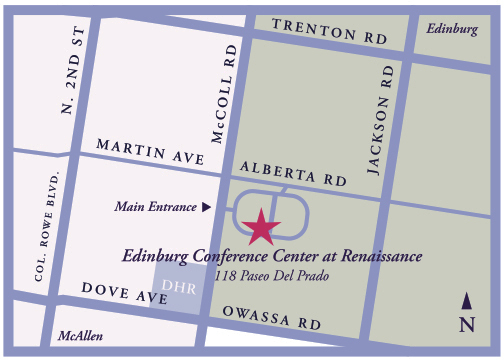 Located at 118 Paseo Del Prado, the Edinburg Conference Center at Renaissance is a partnership between the Doctors’ Hospital at Renaissance (DHR) and the City of Edinburg, designed to serve community, educational and cultural needs. Conferences and community education seminars take place in the main auditorium and multipurpose rooms. 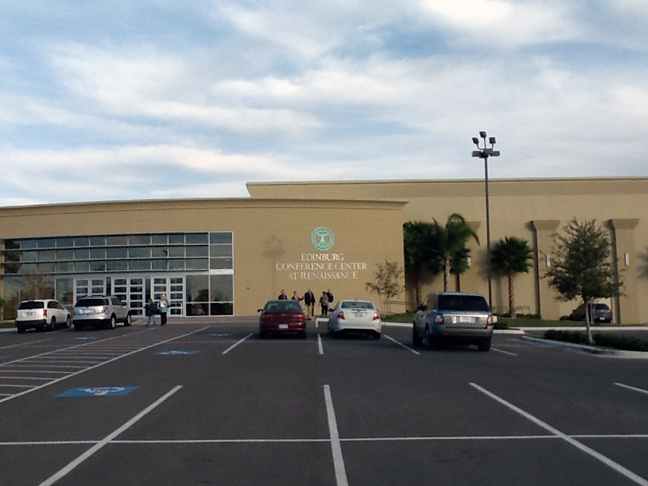 Aimed at hosting world-class speakers, the Edinburg Conference Center at Renaissance is home to local and national conferences, as well as host to various meetings, lectures, graduation ceremonies and forums. For more information and a virtual tour, visit the Conference Center web site.